One person operation. But it is much easier with two. 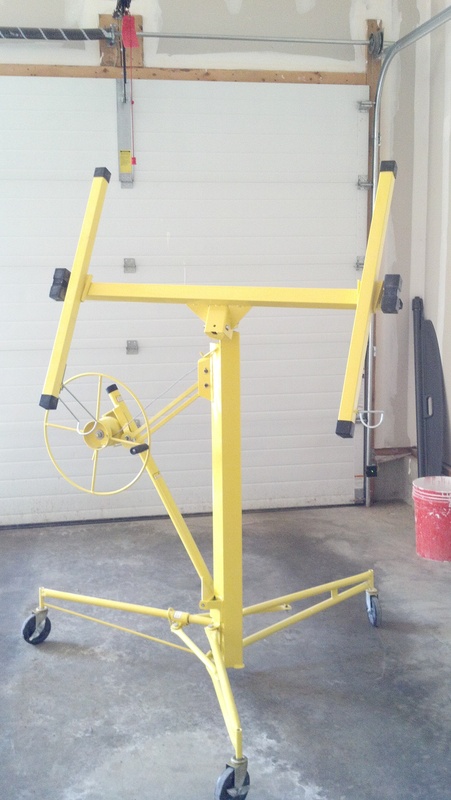 Prevent strain and injury by letting the lift do all the hard work! Get sheets in place and mounted in a fraction of the time. All welded steel construction. Fast, single stage winch with brake. Tool free assembly and teardown. Tilts 65° laterally for easy loading and for installation on sloped ceilings. Specifications Max reach for horizontal ceilings: 11'. Max single sheet cap: up tp 4' X 14'X. Max Reach for walls: 15' (This is determined by the 11' max lift and half the length of drywall). Max load rating: 150lbs. Easy Rolling 5" Casters.